Did you know that Husqvarna wasn’t always a power equipment manufacturer? In fact, Husqvarna began its journey over 325 years ago in 1689 as a weapons foundry called ‘Jönköping Rifle Factory’. By 1912, Husqvarna, as it became known, had branched out from muskets into sewing machines, typewriters, stoves, motorcycles, bicycles, mincers and hunting weapons. Many years passed with Husqvarna producing a range of goods for different sectors, and by 1947 its first chainsaw ‘Husqvarna 90’ was born. It was at this moment Husqvarna became a leader in outdoor power equipment, paving the way for many makes and models to become available on the market. 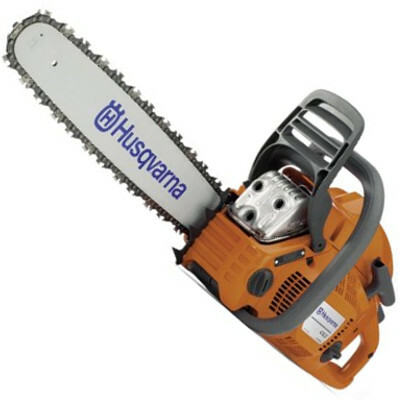 Husqvarna has one of the most extensive ranges of top rated chainsaws on the market. With close to 40 models to choose from, there is almost certainly going to be a model that fits your needs to a tee. From top handle and professional saws, through to robust, all-round and casual use saws; if they don’t have it, it’s not worth having! Husqvarna prides itself on its range of saws, due to the way it can cover every area of the petrol powered chainsaw market. This buying guide aims to visit many of the top Husqvarna models in order to find the best option for consumers. It has an X-Torq engine which reduces exhaust emissions and makes it more fuel efficient. It doesn’t vibrate as much as other saws can. It has a Smart Start system which helps it start quicker from cold. For being a domestic chainsaw it’s extremely powerful compared to others with similar specs. It has a lot of additional, user-convenient features. Some of the settings from the factory aren’t suitable for first use. Adjustment is required. The one bolt system on the chain is known to fail. QWhat is a smart start system? AIt’s a compression release which helps the engine turn over easily. QWhat is the power output? QWhat is this chainsaw best used for? AMedium sized jobs like domestic cutting and pruning. The gas powered Husqvarna 450 is the perfect option for those who are looking at doing domestic cutting and the odd winter wood pile job. It handles workloads with incredible power and has some excellent features to ensure it gets the job done right. For those who try and push it beyond its limit with larger jobs, it does tend to run into problems and become easily underpowered. However, when used correctly, it’s fair to assume the 450 model is top rated and is a good example of a quality petrol powered domestic chainsaw. Check out what other people who purchased this product think about it. Read Husqvarna 450 gas chainsaw reviews. It has up to 20 percent fuel use reduction. It has up to 60 percent reduced emissions. It’s more suitable for landowners and part-time users which limits the market. The chain becomes loose very easily. The bar oiler is known to leak. Dimensions: 41 x 9.5 x 20 inches. QWho is this chainsaw targeted towards? QHow much fuel does it use? In comparison to the price for overall power and getting the best deal in terms of features, this Husqvarna 455 is the tool for the job. It’s got the right amount of power for domestic chores, coupled with a decent sized 20 inch bar and chain to get through those larger logs. Check out what other people who purchased this product think about it. Read Husqvarna 455 Rancher gas chainsaw reviews. It’s targeted to anyone in need of a good all-rounder chainsaw. It’s lightweight which reduces user fatigue. Often the out-of-the-box settings need adjusted before use. Some users note that it stalls on idle mode. The chain has been known to come loose and fall off. QWhere is this saw made? QWho is it best suited to? AAnyone, this is a great all-round saw. QWhat is the biggest bar that can be put on this saw? QWhat is its power output? When you’re looking for the best gas powered Husqvarna chainsaw for the money, the 460 Rancher would be near the top of the list. It suits a range of people and the bar can be swapped out for a 24 inch bar to extend its limits. It has easy handling with its top handle, and it even has Smart Start to start easier from cold. Most reviews have been positive for this saw, and out of all Husqvarna models, it’s one of the most favored. Check out what other people who purchased this product think about it. Read Husqvarna 460 Rancher gas chainsaw reviews. It’s lightweight and good for small jobs. It has an X-Torq engine to reduce emissions. It has Smart Start to make it easier to start from cold. For light pruning it’s quite powerful. For being a smaller, less powerful saw, it’s quite heavy. Lacks power for bigger pruning and trimming jobs. Dimensions: 9.5 x 11 x 32 inches. QWhat is the biggest bar you can fit to this saw? QWho is it suited to? AHomeowners for small amounts of pruning and maintenance. If you’ve purchased this saw, you are a homeowner who undertakes occasional maintenance. It’s not an overly powerful saw, but for what it’s designed for, it’s perfect. It’s not a saw to push past its limits, as it will push back. It is packed full of technologically advanced features and is a very good petrol powered saw when not put under pressure. It is by no means a professional or commercial grade saw. Check out what other people who purchased this product think about it. 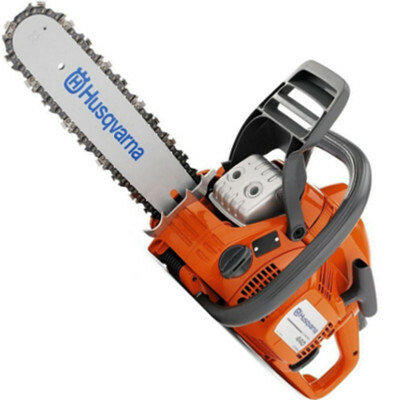 Read Husqvarna 240 gas chainsaw reviews. For easier starting it has Smart Start. The centrifugal air cleaning system helps keep the air filter cleaner for longer. It has reduced emissions and less fuel consumption. Suits a large market as a good all-rounder saw. Dimensions: 14 x 11 x 21.5 inches. AIt’s a great all-rounder saw for most people. QDoes it come with the bar and chain? Whether you’re out in the garden trimming a few small trees, or you’re preparing your winter wood pile, this saw will get the job done with ease. It’s easy to handle, is lightweight and cuts through the logs like a knife through butter. It’s also very affordable for a wide market, and can be purchased online and in Husqvarna dealerships. Overall, for the money in comparison to what you get, it’s one of the best deals available. Check out what other people who purchased this product think about it. Read Husqvarna 440 gas chainsaw reviews. It has a forged 3-piece crankshaft to make it really durable and hardy. It has a tool-less chain tensioning system for ease of use out in the field. It’s a slim saw to make it more agile and nimble. It’s powerful for its size. It can run too hot. It can fail to hold chain tension. QWhat is its fuel intake? It’s nice to see a manufacturer producing models that are lightweight and easy to use. This Husqvarna 440E is lightweight, has a slim bar and body, and is nimble and quick when cutting. It also has exceptional fuel consumption and an auto return stop switch for easier starting. Because it’s so lightweight, it appeals to a lot of people in the market who aren’t confident with a heavy saw. Overall, this 440e model is good value for money and has had really good reviews online to back it up as top rated. Check out what other people who purchased this product think about it. Read Husqvarna 440E gas chainsaw reviews. It has a centrifugal air cleaning system to give the air filter a longer life. It may need the carb adjusted right out of the box. Some users have experienced oil leaks. Dimensions: 21.5 x 14.25 x 11 inches. QDoes the chain and bar come with the saw? AYes, you get a 16 inch bar and chain. For those who require a reliable saw that’s light and easy to handle, the Husqvarna 435 with 16 inch bar and chain is the one for you. It runs like a dream, uses up minimal fuel and its emissions rate is exceptional. It starts easy with its auto return stop switch, and you get a lot of power for varying degrees of work. This is a saw you would happily use at home on small trees, or when you’re preparing your winter wood supply. It’s a great all-round saw that’s considered one of the best Husqvarna saws for the money. Check out what other people who purchased this product think about it. 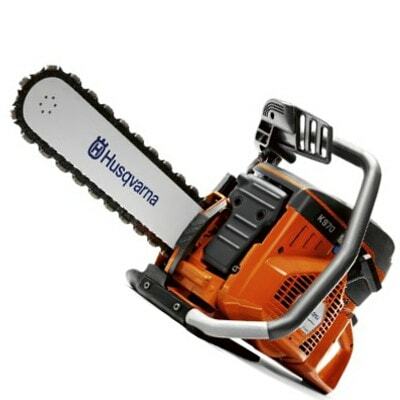 Read Husqvarna 435 gas chainsaw reviews. It’s a powerful saw with a 45.7cc, 2.8 hp engine. It’s extremely lightweight and versatile. It’s a powerful commercial grade or professional saw. It’s reliable which is what you need out in the field. The instructions that come with it aren’t clear. The plastic components look and feel cheap. It seems to require more maintenance than other Husqvarna models. Dimensions: 12.4 x 10 x 39.2 inches. QWhat is its engine power? QCan you interchange the bars? AYes, between a 16 inch and a 20 inch. For the amount of features packed into such a small unit, you would expect it to cost a fortune. However, as far as commercial grade professional saws go, this one is affordable and meets the mark in terms of quality, design and reliability. It’s economical on petrol, it runs sweet and it cuts through trees with ease. It’s the perfect addition to a professional tree feller’s arsenal. It’s also for sale both online and instore. Check out what other people who purchased this product think about it. 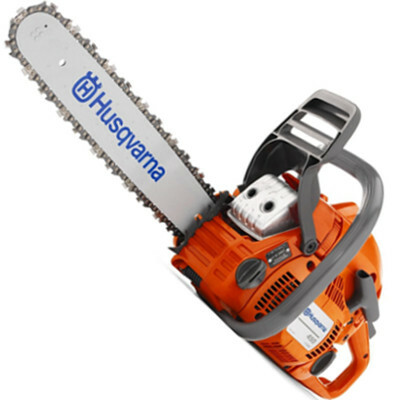 Read Husqvarna 445 gas chainsaw reviews. QDoes the chain come with it? QWhat horsepower does it have? The Husqvarna brand is known to be reliable and this concrete saw is no exception to the rule. It’s efficient, it runs well and it’s a lot quieter than some other brands for sale. However, it can be inconvenient when purchasing as it does not come with a chain. This needs to be purchased separately and can add upwards of $400 to the initial price. You need to read the fine print carefully to realise it does not come with one. Check out what other people who purchased this product think about it. Read Husqvarna K970 gas concrete chainsaw reviews. The chainsaw bag – constructed of Cordura material with a plastic bottom for stability and easy cleaning. It fits the 136/137 model and the 359 model with a 20 inch bar. It also has extra pockets for files. PowerBox carrying case – this bright orange box easily holds all you need to maintain your saw. It also has a harness to hold the saw in place. It will fit any of the Husqvarna range from 136 up. The classic carry case – this case is hardy, durable and double walled. It also has compartments for tools and oil, and fits a huge range of Husqvarna saws. If you are looking specifically for Husqvarna case, check out this comprehensive guide about available Husqvarna chainsaw cases. However, if you’re looking for a case in general regardless of the brand, you would love to read this full buying guide on how to select the best chainsaw case for the money including reviews & comparison. Husqvarna has your safety in mind when you use their saws. This is why they have produced an entire line of chainsaw chaps – for the professional and for the homeowner. Many of their chaps are made with 1000 denier polyester and PVC coating to help with cleaning. They also contain five layers of TEK WARP protective material. They come in a range of sizes and are also waist adjustable. In line with their branding, Husqvarna chaps come in bright orange for visibility in the field and are well priced on the market in comparison to other brands. If you are looking specifically for Husqvarna chaps, check out this comprehensive guide about available Husqvarna chainsaw chaps. However, if you’re looking for chaps in general regardless of the brand, you would love to read this full buying guide on how to select the best chainsaw chaps for the money including reviews & comparison. Your hands will be exposed to a lot of different materials and fluids when out in the garden or the forest. There are so many things your hands are better off not touching, such as tree sap, soil, grease and grime. That is why Husqvarna have such an extensive range of gloves. Whether you’re a professional, an arborist or a landscaper, they have the gloves to cater to your individual needs. Many provide wrist, knuckle, finger and palm protection, as well as padding for reduced vibration when in use. If you are looking specifically for Husqvarna gloves, check out this comprehensive guide about available Husqvarna chainsaw gloves. However, if you’re looking for gloves in general regardless of the brand, you would love to read this full buying guide on how to select the best chainsaw gloves for the money including reviews & comparison. Because users of chainsaws have varying needs, Husqvarna cater to as many as they can when it comes to helmets. Their forest worker helmets have mesh ventilation, free view visors and reflectors, whilst the arborist’s helmet is light, has a centre fit and has ventilation holes. You can even opt for an arborist’s climbing helmet with polycarbonate shell, protection and face shield, side slots for hearing and thick foam. All are available in Husqvarna orange for visibility in the forest or your place of work. If you are looking specifically for Husqvarna helmet, check out this comprehensive guide about available Husqvarna chainsaw helmets. However, if you’re looking for a helmet in general regardless of the brand, you would love to read this full buying guide on how to select the best chainsaw helmet for the money including reviews & comparison. Husqvarna understands the importance of having a sharp chain, therefore they provide all the necessary tools to get the job done right. This includes round files, file kits, combination file guides, roller file guides, depth gauges, Sharp Force file guides, depth gauge files, file handles and vises. By providing such a wide selection, you can rest assured you have all the tools you need at your disposal. A blunt or dull blade is a dangerous blade. Keep it sharp to reduce kickback and to cut through trees with ease. If you are looking specifically for Husqvarna sharpener, check out this comprehensive guide about available Husqvarna chainsaw sharpeners. However, if you’re looking for a sharpener in general regardless of the brand, you would love to read this full buying guide on how to select the best chainsaw sharpener for the money including reviews & comparison. With almost 40 models of Husqvarna chainsaws available, it’s little wonder they have such an extensive range of bars to cater to your every need. Why shop all around town when a certified Husqvarna dealer can provide you with the correct bar for your saw? Husqvarna bars are designed for optimum efficiency and performance. They are built out of quality materials and are extremely affordable. You can even purchase replacement scabbards to ensure your chain and bar remains safe when not in use. If you are looking specifically for Husqvarna bar, check out this comprehensive guide about available Husqvarna chainsaw bars. However, if you’re looking for a bar in general regardless of the brand, you would love to read this full buying guide on how to select the best chainsaw bar for the money including reviews & comparison. When constant sharpening has seen your chain get below 4mm, it’s time for a replacement. With some brands the replacement of chains can be an expensive exercise. However, with Husqvarna all chains are very affordable. Their chains boast high performance with low vibrations. They also cut effectively through clean wood. Amazon is a great supplier of Husqvarna chains for various makes and models. If you are looking specifically for Husqvarna chain, check out this comprehensive guide about available Husqvarna chainsaw chains. However, if you’re looking for a chain in general regardless of the brand, you would love to read this full buying guide on how to select the best chainsaw chain for the money including reviews & comparison. When you own a Husqvarna chainsaw, you should always opt for Husqvarna branded lubricants. y doing so, you are ensuring your chainsaw will run smoothly. You can also rest assured the fluids chosen are the best suited. Husqvarna has an extensive range of professional 2 cycle engine oil 50:1, low smoke 2-stroke engine oil, 2-stroke pre-mixed fuel, fuel stabilizers, foam air filter oil and multi-purpose grease. When you are in need of replacement fluids for your chainsaw, you should think about how much you require. Each product comes in a variety of sizes to cater to the many chainsaw users in America. From the homeowner who only needs the smallest amounts of each, to the professional feller in need of bulk quantities – there’s a size to cater to all. If you are looking specifically for Husqvarna oil, check out this comprehensive guide about available Husqvarna chainsaw oil. However, if you’re looking for an oil in general regardless of the brand, you would love to read this full buying guide on how to select the best chainsaw oil for the money including reviews & comparison. The Husqvarna Group, a manufacturer of outdoor power products. 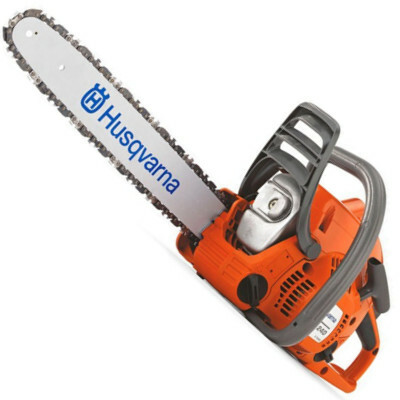 The majority of Husqvarna saws are made in Sweden. 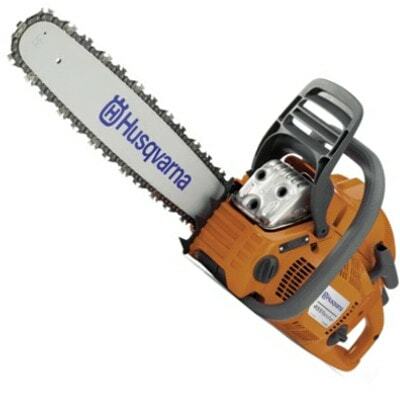 Where do you buy Husqvarna chainsaws? There are many Husqvarna dealers throughout the world. Pretty much any hardware store you visit will enable you to buy a Husqvarna. You can also purchase them online through websites such as Amazon.